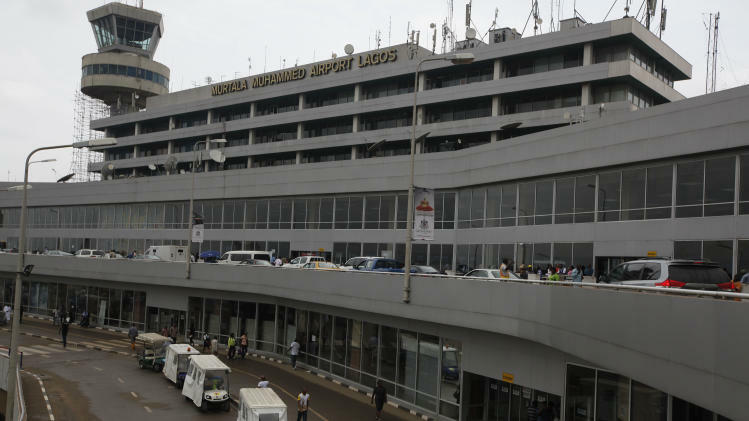 Security agencies at Murtala Muhammed International Airport in Lagos are ignoring Acting President Yemi Osinbajo’s directive ordering them to cease manually searching passengers’ luggage, SaharaReporters has revealed. Mr. Osinbajo recently signed an executive order demanding that all security agencies dispatched to the airport stop manually searching luggage starting Thursday, June 1, 2017, saying that they should instead use the screening machines to examine passengers’ luggage. This move was done in order to comply with international aviation standards and best practices. Some security agencies observed in the morning disobeying the orders were officials of Quarantine, National Drug Law Enforcement Agency (NDLEA), Nigeria Police Force, Bomb Squad, Department of State Security Service (DSS) and Nigerian Customs Service (NCS). The security agencies were seen at the counters of Air Peace, Med-View Airline and Africa World Airlines (AWA), which operated early morning flights to Accra, Ghana from the airport, manually searching the intending travelers’ luggage. Our correspondent observed that the security agencies also searched the luggage of Air Maroc passengers departing Lagos for Morocco. One of the airlines’ counter staff, speaking on the condition of anonymity, told our correspondent that a circular was passed to all airlines on the directive and questioned why officials of the security agencies at the airport refused to comply with the order. “We all thought the agencies would comply with the Acting President’s order, as the deadline elapsed yesterday, but we are surprised to see they still carried on as usual. The screening machine at the entrance of the airport is working well and travelers’ luggage are already screened there before being granted access to the airport,” the staff said. “Also, there is another screening machine at the luggage area of the airport, which is underground. This one, too, is working as expected, but these people, because of money they intend to collect from travelers, still leave the counters there and continue with their illegal activities. There is nothing airlines can do because they will tell you they are carrying out their duties,” he added.